From scorching heat to stifling humidity, summer weather extremes can make the outside world rather uncomfortable. However, in your home, Carrier cooling solutions ensure that you’re never at the mercy of the weather forecast. Indoor comfort is a product of technologies that control temperature, humidity, and air quality. Through innovations like our Infinity® system, Carrier places complete control at your fingertips, helping you maintain precise conditions – even when it’s blistering outdoors. When sliced bread was invented in 1912, it was the greatest thing to happen since air conditioning. You see, our founder, Willis Carrier, invented the first modern air conditioning system in 1902. And we’ve been perfecting his idea ever since--while enjoying the occasional piece of toast. 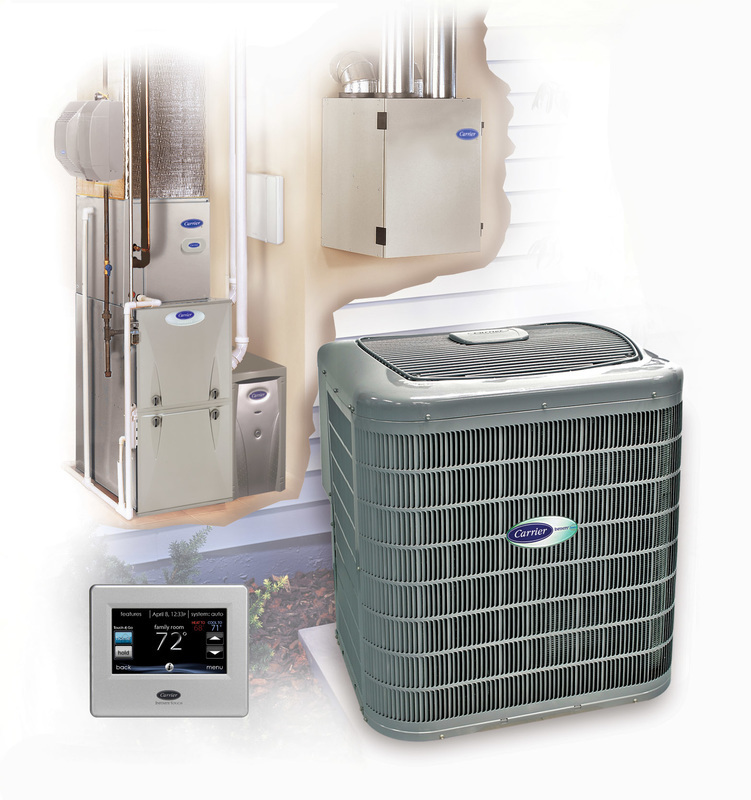 An air-conditioning system provides cooling of your home, humidity control, and even heating (if using a heat pump) for a home. W. H. Carrier invented it in 1902, and Carrier has led the market ever since. We offer the highest efficiency in central air conditioning one can buy, and with our Puron® Refrigerant (an environmentally sound refrigerant designed not to harm the earth’s ozone layer) complete comfort does not harm the world around you. When comparing different systems, always look for high Seasonal Energy Efficiency Ratios (SEER), which measures the cooling efficiency of an air-conditioner—you’ll be glad you did on those hot summer nights. The better the ratio, the more energy you save, which translates to more cash in your pocket and a better environment!